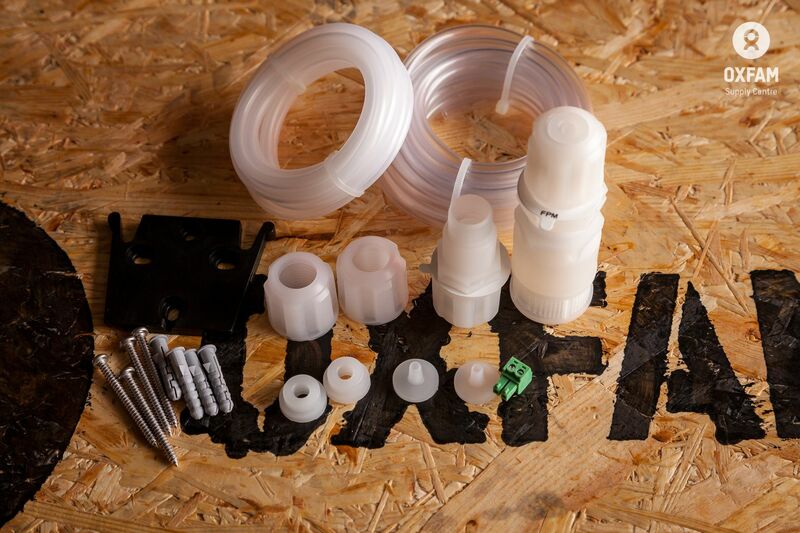 Pump kit that can be used to add chlorine to a piped flow at a variable rate. 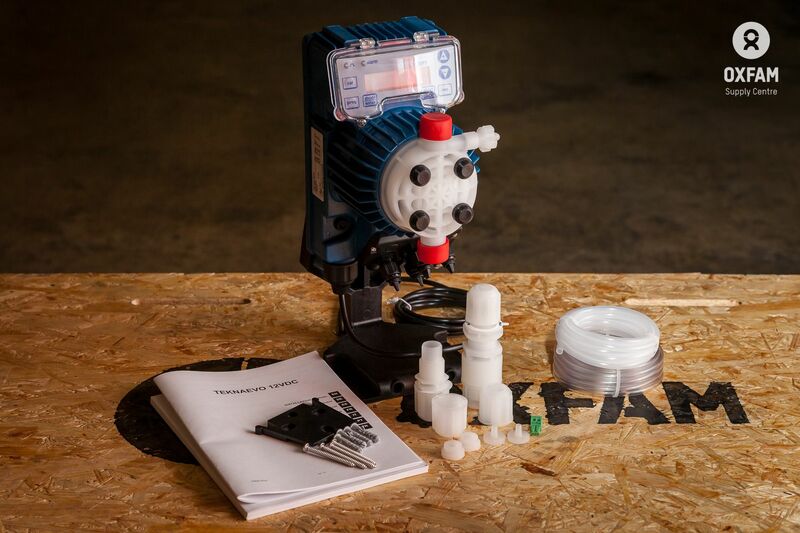 Suitable for use with solar powered pumping systems. The output from a solar pumping system varies over a day and according to local cloud cover. 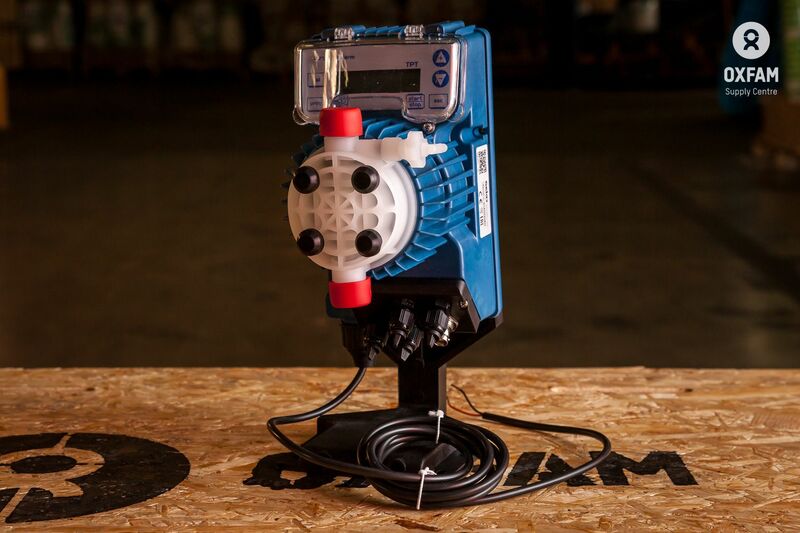 This dosing pump takes the output signal from a flow meter and adjusts the dosing rate according to the flow volume. The concentration of dosing fluid in the water flow will remain constant. 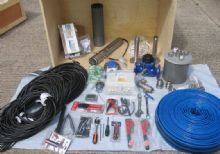 The kit is offered for use with the Code BSS4 Submersible pump kit and Bulk Water Meters. Control: manual adjustment or proportional adjustment controlled by analogue (4-20 mA) or digital pulse signal from a flow meter.